Our Rodeway Inn hotel in Santa Rosa offer a solid deal on a simple stay and amenities to keep you going while you are on the road. Amenities include free WiFi, free coffee, free parking and guest laundry facilities. Guests rooms feature premium bedding, flat-screen TVs and coffee makers. 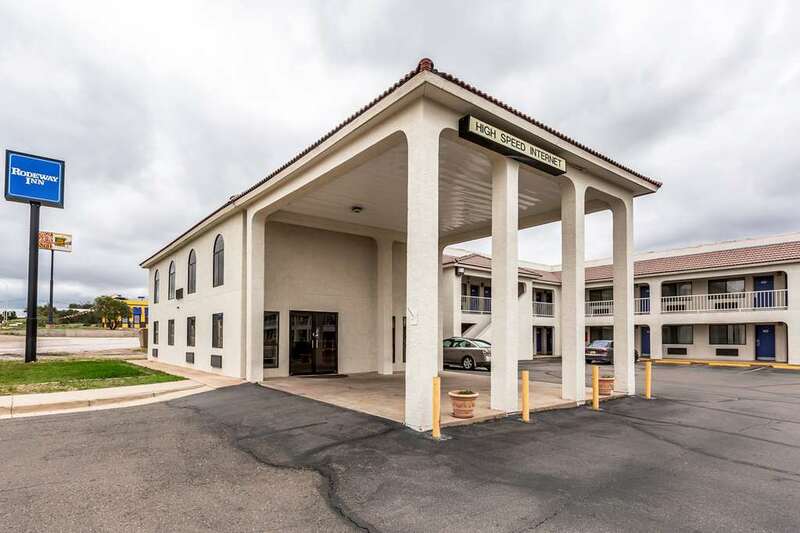 When you want to stay within your budget, hotel accommodations at our Rodeway Inn are just what you are looking for. Our pet-friendly hotel is conveniently located near the Billy The Kid Museum, Blue Hole, Tres Lagunas Golf Course, Santa Rosa Lake State Park, Mesalands Dinosaur Museum and the Route 66 Auto Museum. Enjoy the reliability of a brand name you can trust with Rodeway Inn. With us you will get the most of your time in the Land of Enchantment with all the travel basics you need. Plus, you can earn points toward rewards like free nights, gift cards and more with our Choice Privileges Rewards program. Pets allowed. 10.00 USD per night, 2 pets per room. ~41 miles from Santa Rosa.